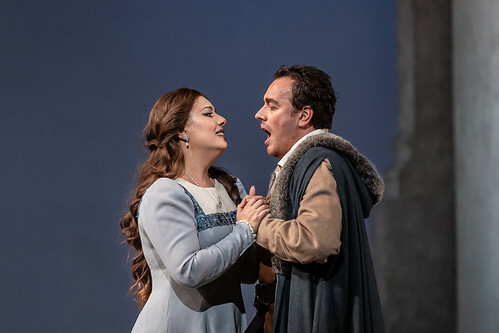 Verdi's opera explores long-held secrets, treachery and the father-daughter relationship, in the majestic setting of Renaissance Genoa. 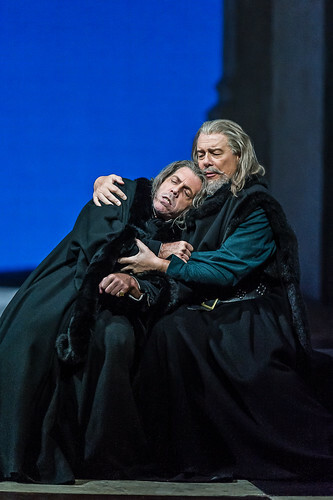 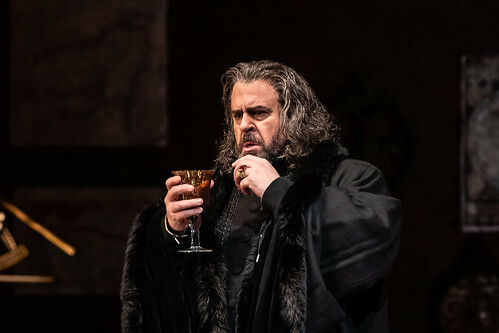 There are currently no scheduled performances of Simon Boccanegra. 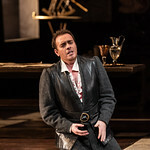 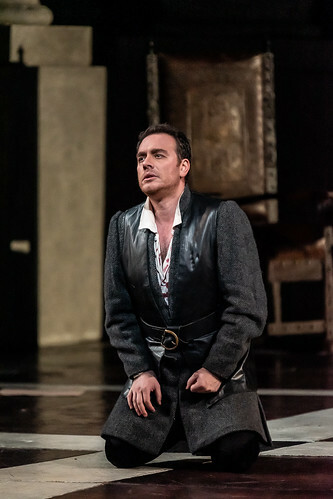 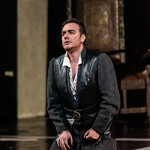 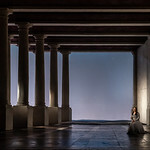 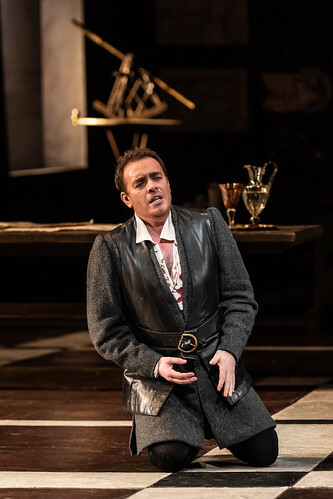 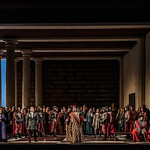 It was last on stage 15 November—10 December 2018 as part of the Autumn 2018/19 season. 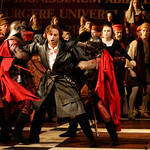 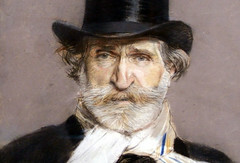 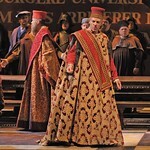 Verdi began work on Simon Boccanegra in 1856. 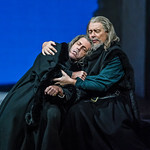 His literary source was a play by the Spanish writer Antonio García Gutiérrez, in which intense familial relationships play out against a background of political tension - always a favourite scenario for Verdi. 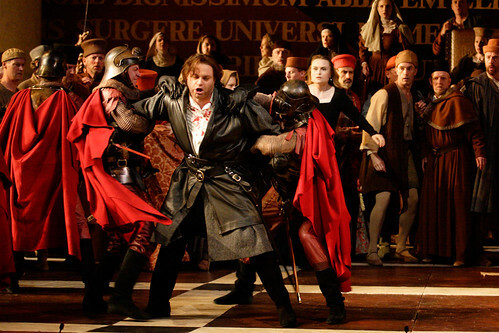 The original version of the opera (1857) was unsuccessful. 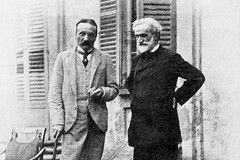 More than twenty years later, Verdi revised Boccanegra with the help of Arrigo Boito, his librettist for the later Otello and Falstaff. 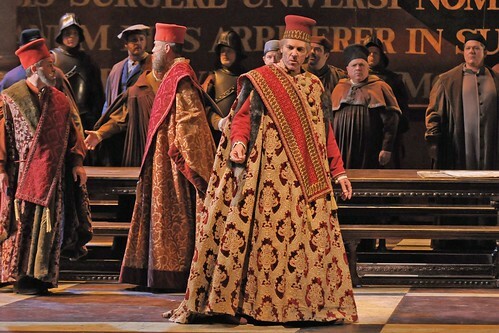 Among other changes, they introduced the great Council Chamber scene that closes Act I. 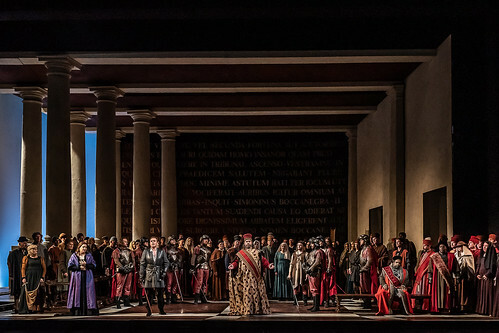 The revised Boccanegra's 1881 premiere at La Scala, Milan, was a considerable success. 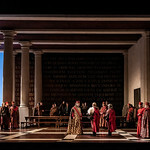 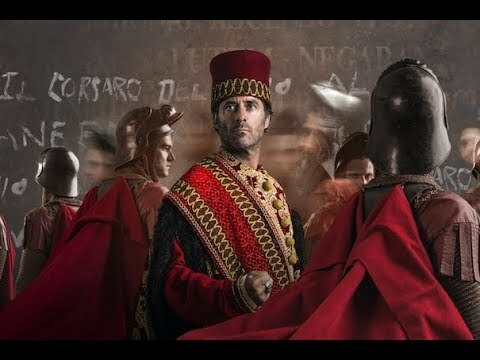 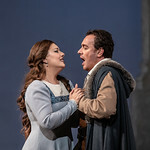 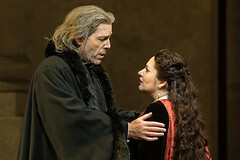 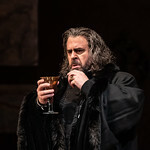 Simon Boccanegra is one of Verdi's most subtly powerful works, in which large-scale choral episodes, such as the Council Chamber scene, contrast with passages of tender intimacy, including Amelia and Boccanegra's ecstatic Act I duet. 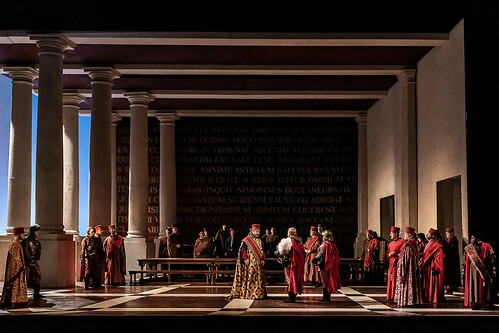 Elijah Moshinsky's handsome production is inspired by Renaissance art and architecture. 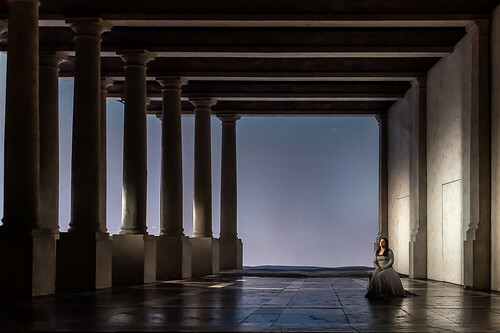 Images of the sea - which Moshinsky sees as a metaphor for mortality - recur throughout.